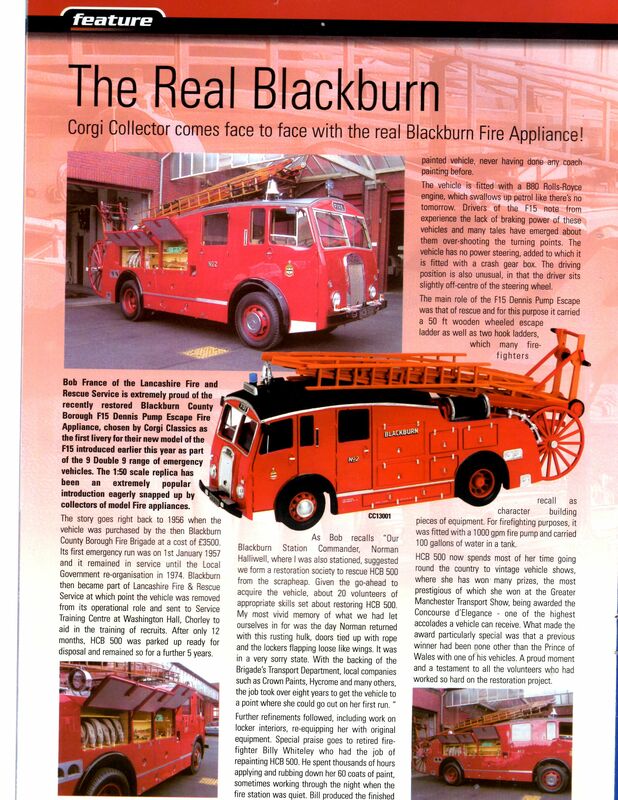 You are here: Home>Complete archive>Articles>2000-2009>Appliances>The Real Blackburn Pump Escape and Bedford Van. 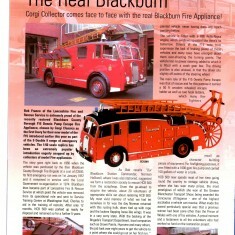 The Real Blackburn Pump Escape and Bedford Van. 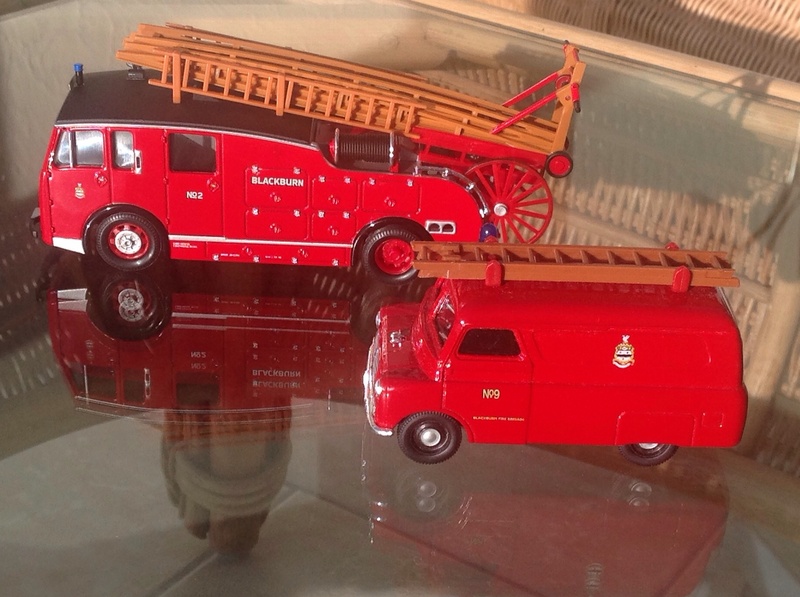 Corgi models of the Blackburn Fire Brigade Fleet from their 9 Doulble 9 range of Emergency vehicles. 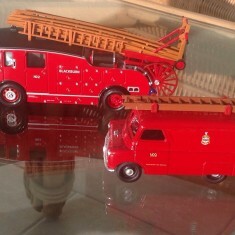 Pictured are the Restored Pump Escape No 2 and Small Fire Unit No 9 Bedford Van. Yes you thought the concept of a Small Fire Unit was a recent innovation, no from 1964 when I joined up to 1974 we responded to all small fire in the Bedford Van the type of incident grass fires. chimney fires, derelict property and rubbish fires. It carried a 30ft Ajax Wooden Ladder, Pole Ladder for accessing loft spaces, 6 lengths hose , stirrup pump,standpipe key and bar, a small pump called a wheelbarrow pump and I forgot 4 Size 10 Coke shovels for beating out grass fires no flimsy beaters in them days. And would you believe it, no wireless communication with control, so if you required assistance one of the crew took a tin from the vehicle which contained loose change and went to find a phone box. Bearing in mind that most of the time it was crewed with only 3 crew it left you a bit thin on the ground.